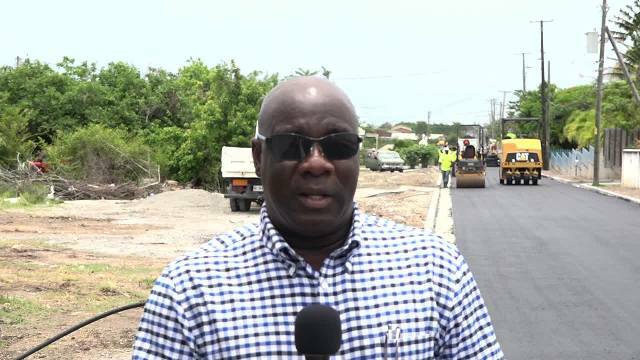 NIA CHARLESTOWN NEVIS (JUNE 15, 2017) — Asphalting works on the first section of the Shaws Road Rehabilitation Project commenced on June 14, 2017, five months after it began. Two thousand four hundred feet of road was asphalted from the junction of the Mount Nevis Hotel to the First Choice Car Rental office. 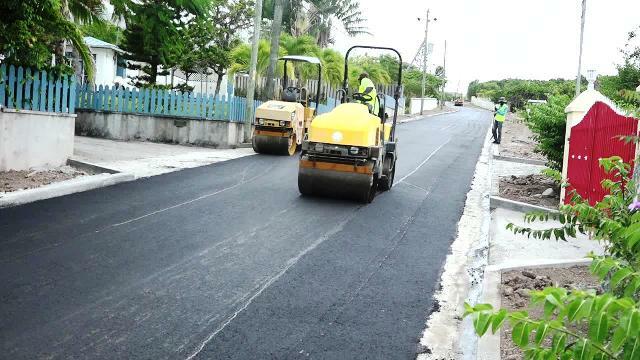 The project is being under taken by the Public Works Department (PWD) in the Nevis Island Administration (NIA) under the supervision of Mr. Shantez Mintos. 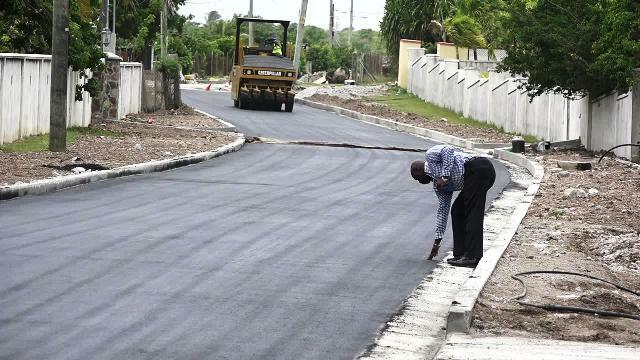 Preparatory work on the second segment of approximately 1,200 feet of road from the car rental office to the Island Main Road, has already commenced. Work is expected to continue later this year on the second and final phase of the project which involves an additional 1,200 feet of roadway. It will run from the hotel’s junction to Gore Hill through to Fountain Village. Hon. Alexis Jeffers, Minister of Communication and Works in the NIA, who was on the scene, registered satisfaction with the project’s progress in spite of challenges posed by inclement weather. He commended the PWD workers and thanked them for a job well done. He also commended workers from the area and teams from other parts of the island who, he said, had been engaged in the construction of the slipper drains and curbs.